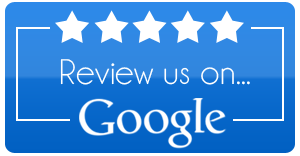 If you are trying to find a Chino CA dentist, be sure to contact us by calling (909) 364-1330. First time at this dental office. Came in for teeth cleaning. Was very surprised when I walked in. I was greeted by nice staff members. The office looked very clean and spacious, which gave me a more relaxed feeling being there. Did the usual paperwork, while watching The Price is Right on their tv. They have this fancy xray that takes digital pics. The hygienist sat me down and started cleaning my teeth. Shortly after Dr. Raj took off some more stains, checked for cavities, and explained my xrays to me and I was good to go back to work. It was a pleasant experience since i haven't gone to a dentist in very long time. Ive had several bad experiences before and i recommended a few friends to try them out. They have been going to Dr. Raj ever since. Hands down these gentleman are the best dentist in the I.E. wouldn't go anywhere else. I live in Orange County and make the drive here because it WORTH IT!